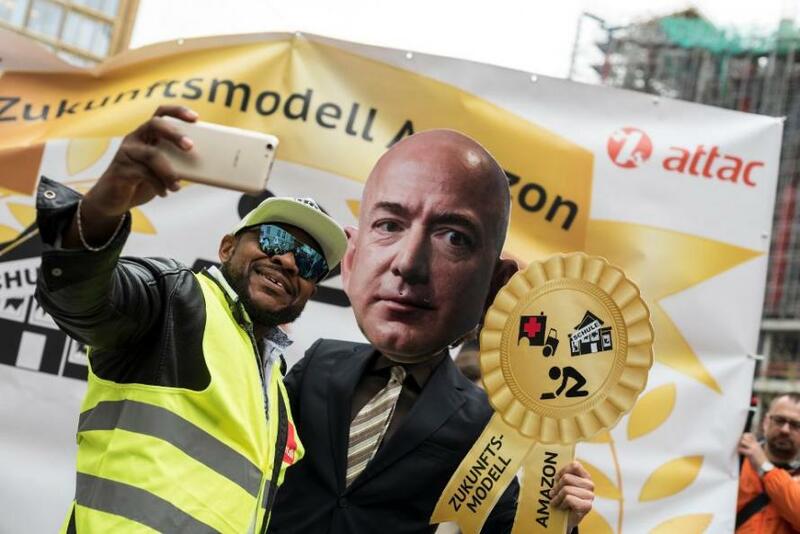 Three months after Jeff Bezos was booed by disgruntled Amazon employees in Germany demanding higher pay and better working conditions, Amazon's European workers are boycotting the company ahead of Amazon's global "Prime Day" to highlight the poor conditions that fulfillment-center staff have endured for years. On Monday, a growing number of online workers, but also gamers, and shoppers planned to boycott Amazon over its treatment of low-level workers, who have criticized the company's tough working conditions on multiple occasions Forbes reported. To get the company's attention on these issues, organizers hope their boycott will make a dent in Amazon's bottom line on July 16, 2018, better known as Amazon's "Prime Day", one of the retail-and-technology giant's busiest sales days of the year. Last Tuesday, Amazon workers in Spain launched a general strike that is expected to last through Monday. 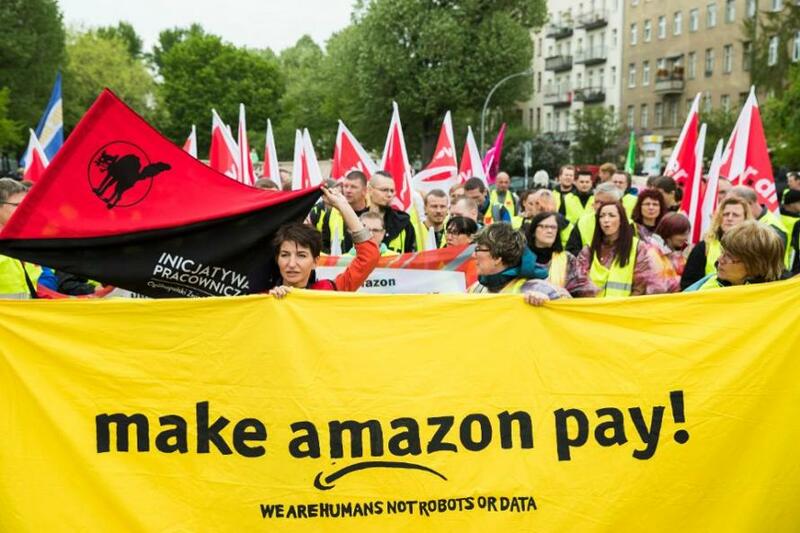 Workers at other European Amazon facilities have reportedly joined the walk-out, including groups in Italy, France, England, Germany, and Poland, with a German labor union confirming its members with Amazon will strike on Prime day. To be sure, this won't be the first time the online retailing giant's European workers have express displeasure: in the past several years, workers at Amazon fulfillment centers have repeatedly protested against the company's long hours, tough working conditions, and high-pressure "rush" periods, as around Prime Day and Black Friday. 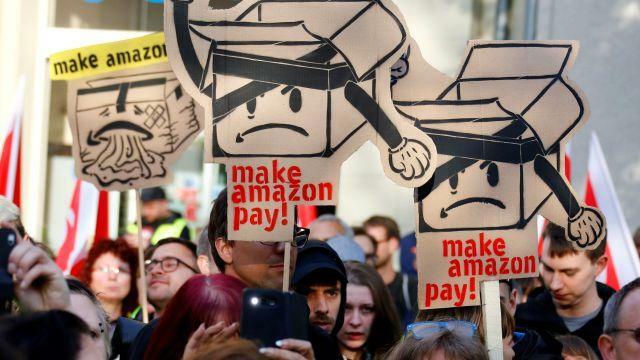 In 2017, Amazon workers in Germany and Italy staged a strike to coincide with Black Friday, when they say short-term workers are forced to work long, grueling shifts without adequate compensation or conditions, among other complaints. Amazon workers in the U.S. have also reported brutal working conditions in recent years, including the need to endure high temperatures, spend unpaid time in security lines, and even skip bathroom breaks, although have been far less enthusiastic to pursue actual work strikes, perhaps due to the fear of being promptly replaced. In response to the protesters' latest round of complaints against the company, an Amazon spokesperson told the Observer, ”We don’t recognize these allegations as an accurate portrayal of activities in our buildings." What is interested is that this time, unlike previous similar strikes, the idea of boycotting Amazon on Prime Day and beyond has been gathering significant steam online. 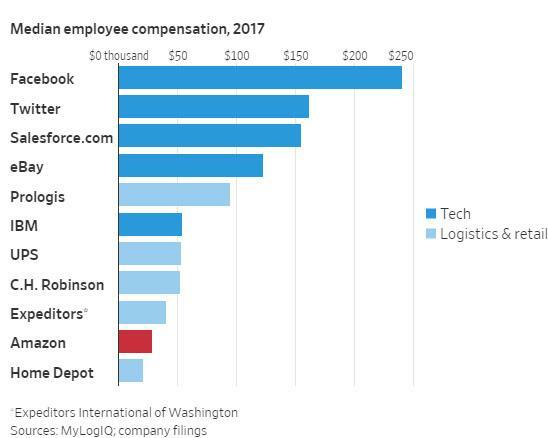 According to the Daily Dot, "The #AmazonStrike hashtag on Twitter, and numerous posts on Tumblr, have led the charge among internet users who are supporting employees who have held strikes against the retail giant in the past." A number of gamers and journalists are also expected to participate in Monday's boycott, which calls for supporters to avoid using or visiting any of Amazon's services or sites, from shopping to streaming. Paradoxically, that show of solidarity also includes the popular live-streaming video platform Twitch which Amazon acquired in 2014. GameRevolution reported that some journalists and gamers plan to boycott the platform on Monday "in solidarity with the striking Amazon workers." As Forbes adds, Amazon founder Jeff Bezos and the world's richest man, has been the target of criticism for years regarding his business practices at Amazon and other ventures, from workers as well as the media, and even - in some cases - from both. Last year, a WaPo reporter - which is owned by Bezos - wrote an op-ed for the Huffington Post about how fair pay for Amazon workers -- not high-profile philanthropy -- should be the primary goodwill strategy for Bezos, his boss. What happened next? Within days, the Post had disciplined Kunkle, which his union argued may have been illegal. Bezos should remember that his vast wealth came in part from labor, and he should do more to share that wealth with workers. As the owner of an institution that’s critical to democracy, he should go out of his way to set a tone of progressive stewardship toward employees in all his businesses. Instead, Bezos has shown that he views his employees as parts in a high-tech machine, that income inequality is someone else’s problem, and that modern corporations owe little more to their employees than a paycheck. Well, he is right, and it is a very successful machine, because moments ago Bezos net worth just topped $150 Billion. According to Bloomberg, Bezos has now topped Gates in inflation-adjusted terms. 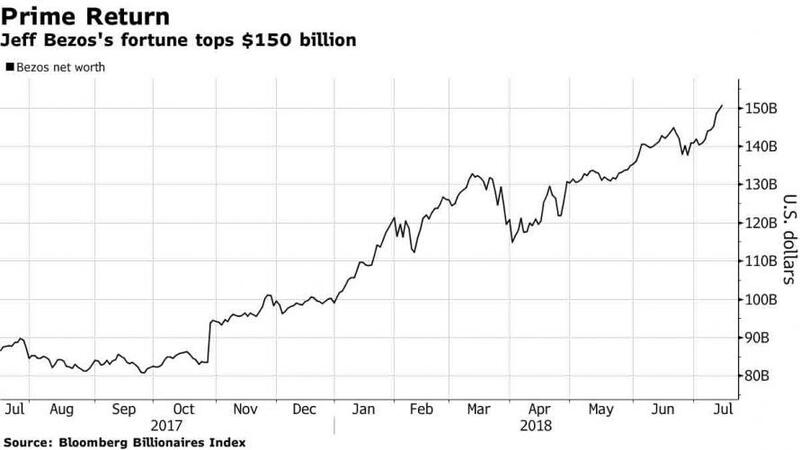 The $100 billion mark that Gates hit briefly in 1999 at the height of the dot-com boom would be worth about $149 billion in today’s dollars. That makes the Amazon chief executive officer richer than anyone else on earth since at least 1982, when Forbes published its inaugural wealth ranking.